The unrelenting cheer in Fool's Gold, California, is bringing out the humbug in dancer Evie Stryker. She learned early on that Christmas miracles don't happen, at least not for her. And this year seems like no exception. An injury has forced her to return to the family fold, no matter that they're estranged. She won't add to the awkward scenario by being seduced by the bad-boy charms of her brother's best friend, the last man she should ever want to date. Even when she's recruited to stage the Fool's Gold winter festival, she vows to do as promised, then move forward with her life anywhere but here. New York Times bestselling author Susan Mallery has entertained millions of readers with her witty and emotional stories about women. 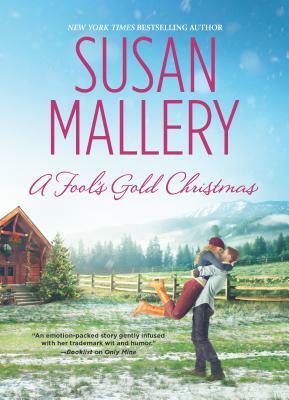 Publishers Weekly calls Susan s prose luscious and provocative, and Booklist says Novels don t get much better than Mallery s expert blend of emotional nuance, humor and superb storytelling. Susan lives in Seattle with her husband and her tiny but intrepid toy poodle. Visit her at www.SusanMallery.com."